Queen Elizabeth II regularly spends time with her granddaughters-in-law, Kate Middleton and Meghan Markle. Here’s a look back on some of their sweetest moments that were captured throughout the years. [post_ads]In 2011, Middleton accompanied the Queen during the viewing of exhibitions as part of the summer opening of the Buckingham Palace. At this time, the Duchess of Cambridge has only been married to Prince William for a few months, but it’s already very obvious that she gets along well with her husband’s grandmother. The two female royals were also photographed lovingly looking at each other while also gazing at Middleton’s Alexander McQueen wedding dress. The gown was put on display inside the Buckingham Palace. A year later, the Queen asked Middleton to accompany her to Leicester. While there, they caught a show and shared a good laugh at the De Montfort University. In the same year, Middleton and the Queen were once again seen laughing their hearts out while watching a children’s sports event in Vernon Park in Nottingham. In 2013, Middleton was seen kissing the cheeks of Her Majesty as she arrived in Sandringham for the royal family’s Christmas Day Service. And now that Markle is also part of the royal family, she has also shared some sweet moments with Prince Harry’s grandmother. For instance, Markle joined the Queen and the other members of the clan to attend the Commonwealth Service at Westminster Abbey. Markle also stood behind the Queen during the Trooping the Colour event. Days later, they went on their first solo engagement together. Markle was photographed leaning in on the Queen and laughing with her in Cheshire. The Queen and Markle reunited at the Royal Ascot last month. They were photographed greeting each other with huge smiles on their faces. Markle also graced the Queen’s Young Leaders Awards Ceremony at Buckingham Palace for the first time. The former actress and the Queen were photographed just a few feet away from each other at the event. 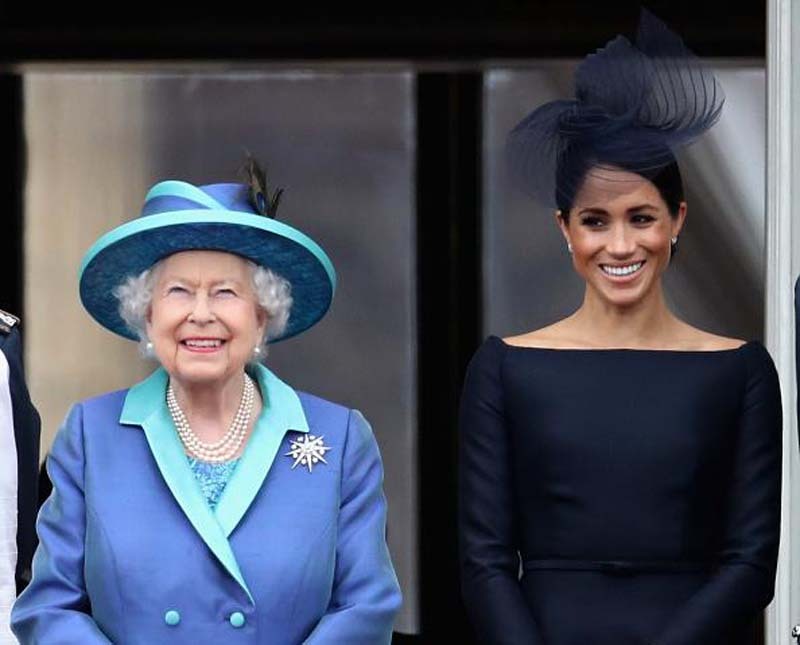 Susan Constantine, a human behavioral expert, told Good Housekeeping that Markle and the Queen have an amicable relationship with each other, but the Duchess is still figuring out her place in the family.